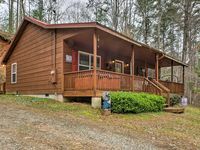 Property 19: Secluded & Luxury Ellijay Cabin w/ Hot Tub & Deck! 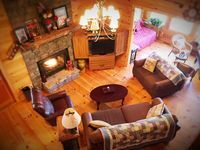 Property 21: Peaceful Private Cabin, Hot Tub, Fire Place & Dogs Welcome! Property 28: River View From 4 decks/2 Game Rooms/Hot tub/Privacy/Pet Friendly/Kids Paradise! Property 30: Pay for 2 nights, get 1 free! 3/2 DEER Galore! Property 33: Riverfront! Wi-Fi, Hot tub, Gameroom! 7th Night FREE! 5 STARS!! Property 49: Large, dog-friendly cabin w/ private hot tub, shared pool, and mountain views!